Organizations often ask this question: When is the best default time to deliver the automated email? Since organizations look to maximize engagement with their subscribers, this question really seeks to know what times their subscribers are most likely to open and/or click on their emails! 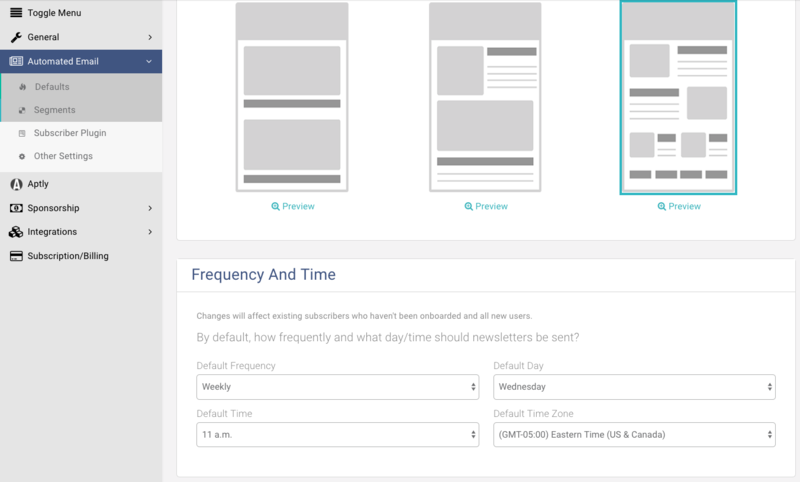 Your default delivery times for the automated newsletter apply to the subscribers who haven't personalized their delivery settings. For most organizations, the best times to deliver the automated newsletter are Monday, Tuesday or Wednesday mornings, when most people start their work days. Settings > Automated Email > Defaults and scrolling down to your default delivery time!